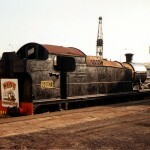 This blog is a bit of a requiem for a deceased GWR locomotive. The mortal remains of GWR 2-8-0T No 5227 are now at Didcot and it has, to all intents and purposes, gone to the great western workshop in the sky. Other bits from 5227, it was discovered, such as axle boxes and horn guides can help the 4709 project so 5227 has effectively been reduced to a set of main and extension frames and the fatally damaged and unusable cylinder block. As the GWS’s David Bradshaw says, “I think it is fair to say that this engine will never be returned to working order” (GW Echo, No 204). 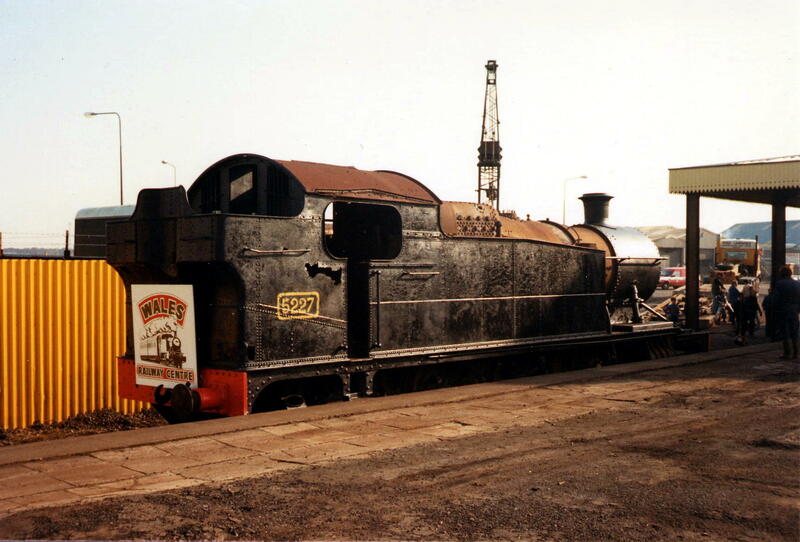 This is a bit sad and the GWS has in fact no representative of this type of loco in its collection but I find the idea of building a County 4-4-0, a class I am too young ever to have seen, a fascinating future prospect. I can almost visualise it standing outside 81E shed alongside ‘Truro’ and the Hawksworth County, 1014. But Didcot do have a 72xx and it is not as if there are no 2-8-0 tanks around. 4247 (Bodmin), 4277 and 5239 (Dartmouth) are all active, 4253 is under restoration at the KESR and I have watched 4270 coming together week by week under the skilled and patient eye of Ian Carpenter at Toddington. When finished, 4270 will really look something, finished in early GWR green and sporting a tall safety valve bonnet. Attached to our growing heritage GWR freight train it will turn a few heads a little later this year, I can assure you. If you want an example of an unrestored one, 4248 is in STEAM museum, while Pete Waterman’s 5224 is under overhaul at Crewe. So, it is good bye, 5227. Your frames may remain on show so that people can see how a steam locomotive is born but, like us all, in the end, your identity will live in your children!